To apply, visit one of our shops or call 0333 800 9500! The Arts Council’s interest free credit scheme, Take it Away was introduced in 2007 designed to help more people get involved in learning and playing music. We are happy to be offering interest free credit to 18 – 25 year olds in participating branches, and by mail order. 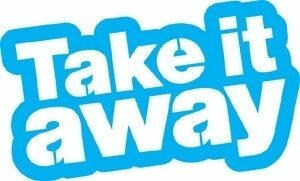 You can use ‘Take it Away’ to purchase any instrument costing between �100 and �2000 pounds. The payments you make will consist of a 10% initial payment by credit or debit card, followed by nine monthly installments of 10% each. You don’t pay any interest, and the total amount you will pay is exactly the same amount you would have paid if you’d made payment up front. It’s extremely easy to apply – all you need to bring with you is your payment card. Once you have chosen your instrument and accompanying accessories, the shop staff will collect a few details from you, and then make a quick phone call to get your credit approval. Once the credit has been approved, you make the 10% down payment, set up your direct debit for the further nine payments, and then go on your merry way with your new instrument! The process is very similar, but of course it’s all done over the phone, and the forms have to be sent to you in the post, and then returned to us. The main difference is that after you sign the agreement, there is a two week wait before we are able to send out the goods. To apply now, call 0333 800 9500 and mention the Take it Away scheme. Please have handy your payment card, and details of the item you want to buy. Take it Away is only available to 18-25 year olds! Any permanent UK resident aged 18-25, working at least 16 hours per week, with a credit or debit card can apply for the interest free credit to buy a musical instrument. One of the reasons we are embracing this scheme is that its aim echoes our own main aim – to get more people playing a musical instrument. The scheme is particularly aimed at people taking up an instrument for the first time, and people buying an instrument for a child, but no one is excluded. Subject to status. Terms and conditions apply. Applicants must be 18-25 years old (other finance options may be available to everyone else, please enquire!). McClelland Music Ltd trading as Hobgoblin Music is a licensed credit broker of ‘Take it Away’ loans. For more information about Take it Away, contact your nearest participating branch or to make a purchase by mail order, call 0333 800 9500.